The Rondebosch Croquet Club is reputed to be the oldest surviving croquet club in South Africa, having been established in August 1914. 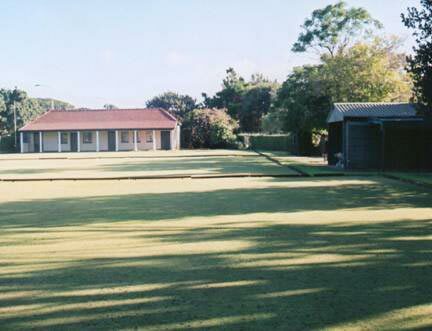 The present club in Croquet Lane Rondebosch is on the site of a converted Bowling Green and dates back to the 1960’s. The 3 beautifully maintained Croquet Lawns offer a wonderful opportunity for both social and competitive play. Despite the drought, the underground borehole water has allowed us to maintain the lawns in pristine condition. A recent exciting development at RCC is the initiation of a UCT Croquet Club. Social play takes place on Wednesday and Saturday afternoons at 2pm. Visitors are welcome to attend these sessions and to contact Jean Meredith for further information: 021 532 7405, or 083 564 2735. The Rondebosch Croquet Club is reputed to be the oldest surviving croquet club in South Africa, having been established in 1914. Croquet had been played in the Western Province as early as the 1860’s and by 1911, there was sufficient interest for a South African championship to be held at Newlands, at the Western Province Cricket Club grounds. With this generated interest, the Rondebosch Croquet Club was founded, with the opening ceremony being performed during August 1914, by the then Mayor of Cape Town, Mr Parker. The founding members included Mrs Garlick, Mrs Jagger and Mrs F. Plant, the latter being the Club’s first President. They were mostly wives of the members of the Rondebosch Bowling Club, which had been founded the previous year in 1913. The Club participated in the Western Province championship for the Faure Cup, against clubs from Strand, Paarl, Stellenbosch, Malmesbury, Simonstown and later Pinelands and the Club joined the South African Croquet Association (S.A.C.A. ), when it was founded in 1937. Amongst the membership were leading players including Edward Ward-Petley, a former England player, Captain Reginald Belcher, the second President of S.A.C.A., Lt Cdr. Alex Clark and his wife, who were several times South African doubles champions. By the 1950’s however, interest in croquet had declined in the Western Province and after the closure of the Pinelands Croquet Club, Rondebosch was the sole croquet club left in Cape Town. With the dwindling membership, it was expected by the City Council, that it would not be necessary to find a new home for the club, when the new roadway reached the existing club site. However, fortunes changed when several young players, encouraged by Ian Gillespie, who later became President of the S.A.C.A., joined the club in 1966 and rekindled enthusiasm to such an extent that the City Council was persuaded to move the Club to it’s present site at Croquet Lane, Rondebosch, along side the four roads junction, Belmont/Park/Campground and the Liesbeeck Parkway, with a good size car park, off Erin Road. The new site was previously used by the Rondebosch Bowling Club, where two croquet lawns were constructed, with one gravel court, later converted to grass. Membership grew under the Presidency of Ian Gillespie, resulting in the South African Championship’s being held at the Club, which generated further growth. From 1968 to 1990 Dilys Hobbs was the President and the Club continued to flourish throughout this period. The Club Champion, Clive Hambley won the South African Championship on several occasions and other members including Gilbert Hobbs and David Cunningham were also successful in the doubles championships. During 1974, the very young Reginald Bamford joined the club when he was at school at Bishops and being originally coached by his father, went on to win many South African and International Croquet Tournaments. Reg Bamford is now considered to be one of the most accomplished players in international croquet history and was recently honoured by being elected to the World Croquet Federation (WCF) “Hall of Fame”. He has on three occasions been the WCF World Champion, seven times British Open Champion and the holder of more than fifty individual championship titles. He has also achieved the number one world ranking eight times and has been consistently ranked among the top five players in the world, for nearly a quarter of a century. He is currently based in London, but insists in maintaining his South African nationality and is a great ambassador for South African croquet. Recent past Presidents Andy Knox 1990-1998 and Neal Jackson 2000-2004 contributed a great deal to managing the club’s affairs during their tenures, the latter personally providing the installation of the original irrigation system for the club lawns. The Rondebosch Croquet Club has arranged many National and Western Province annual Association and annual Golf Croquet tournaments and past member Carol Jackson, who played for South Africa in numerous international tournaments, was the prominent instigator, to bringing the 2008 World Golf Croquet Championship to Cape Town, being sponsored by Lord Irvine Laidlaw. The tournament, divided between three Western Province croquet clubs, was attended by many international players from seventeen countries, which was finally won by Ahmed Nasr of Egypt with Reginald Bamford coming second. The Rondebosch Croquet Club has three well maintained irrigated lawns situated at Croquet Lane Rondebosch and sincerely welcomes new members, who will receive much support and coaching, in order to participate in the most enjoyable game of croquet. There is a club library with a large selection of books on the many aspects of the game, including both Association and Golf Croquet and club days are on Wednesday and Saturday afternoons at 2.00 p.m. till approximately 5pm. Elected members of the Club can utilize the facilities at any time, as each member is provided with a key to the Club. Throughout the croquet season, November through to March, club members can participate in the annual National and Western Province championship tournaments, together with the provision of a club team to participate in the Golf Croquet League, between local clubs for both singles and doubles matches. Interclub singles Golf Croquet competitions are arranged for club members, in order to improve their individual handicaps.